Students love math games and puzzles, but how much are they really learning from the experience? Too often, math games are thought of as just a fun activity or enrichment opportunity. Learn how to make games and puzzles an integral learning component and gain unique access to student thinking. Students love math games and puzzles, but how much are they really learning from the experience? Too often, math games are thought of as just a fun activity or enrichment opportunity. 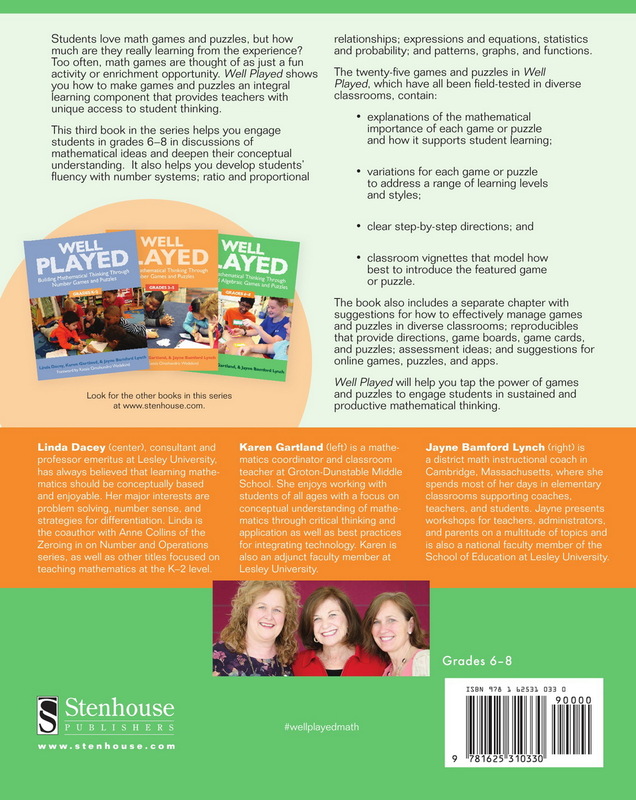 Well Played shows you how to make games and puzzles an integral learning component that provides teachers with unique access to student thinking. This third book in the series helps you engage students in grades 6–8 in discussions of mathematical ideas and deepen their conceptual understanding. It also helps you develop students’ fluency with number systems; ratio and proportional relationships; expressions and equations, statistics and probability; and patterns, graphs, and functions. 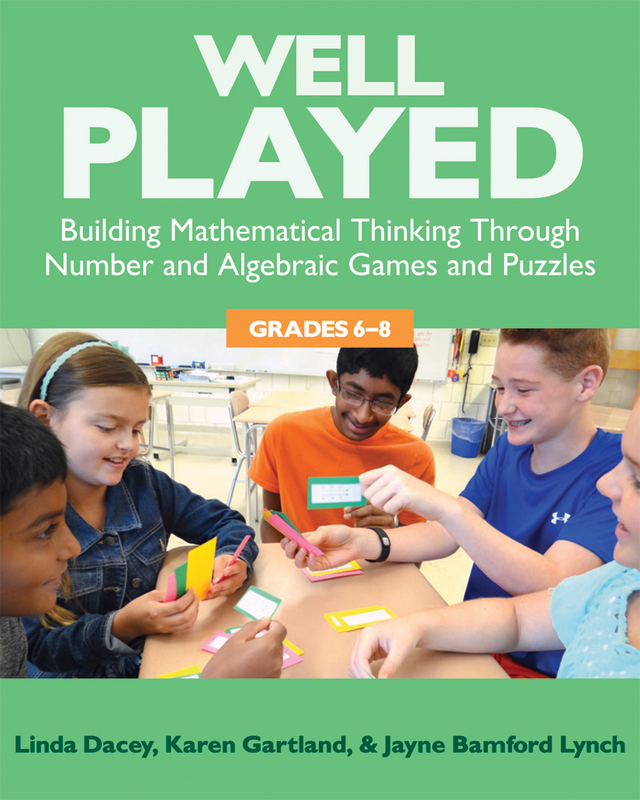 Well Played will help you tap the power of games and puzzles to engage students in sustained and productive mathematical thinking. Karen Gartland is a mathematics coordinator and classroom teacher at Groton-Dunstable Middle School. She enjoys working with students of all ages with a focus on conceptual understanding of mathematics through critical thinking and application as well as best practices for integrating technology. Jayne Bamford Lynch is a district math instructional coach in Cambridge, Massachusetts, where she spends most of her days in elementary classrooms supporting coaches, teachers, and students.